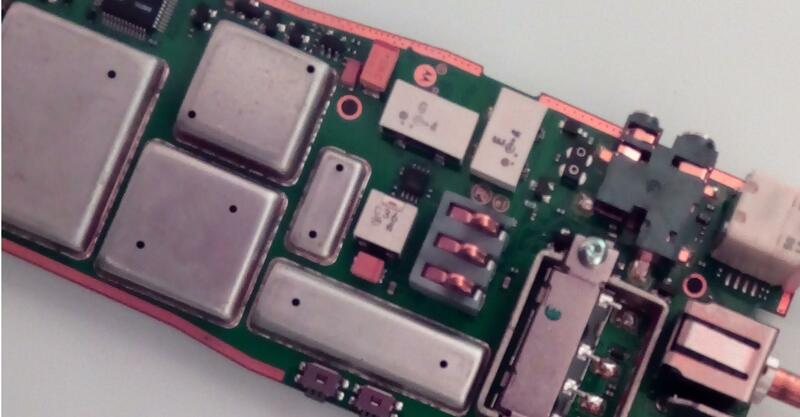 repair service for all Motorola radios. With a two way radio hire fleet of over 400 units we are able to serve any request, whether it be big or small. Looking to purchase Radios? We are a recognised Motorola Reseller so you are able to buy with confidence. We offer a full in-house repair service with a quick turnaround to keep your two way radios working. Our in-house knowledge and expertise means we can provide first class support when it comes to your communications infrastructure. From radios to repeaters we can help. A warm welcome to Comsco. We are a UK based Business Radio Dealer and specialise in Two-Way Radio Sales / Walkie-Talkie Sales, Hire and Repair. Our team is family-run and committed in every way to giving you a First Class service. From a simple repair estimate, to a large-scale hire and site visit, we aim to make you feel valued and unique. Numerous organisations have found our personalised, friendly service to be exceptional in an industry that often seems robotic. We have a number of large, prestigious organisations that hold long term supply and maintenance contracts with us. The main feature of our service that has earned our clients trust, respect and business above all else, is that we will go out of our way to support them and provide the utmost best service. Against the competition, we see our clients as family and treat them as individuals. We guarantee to provide a reliable, friendly and trustworthy service that you can rely on. Our minimum hire period is one week as is common among the industry. 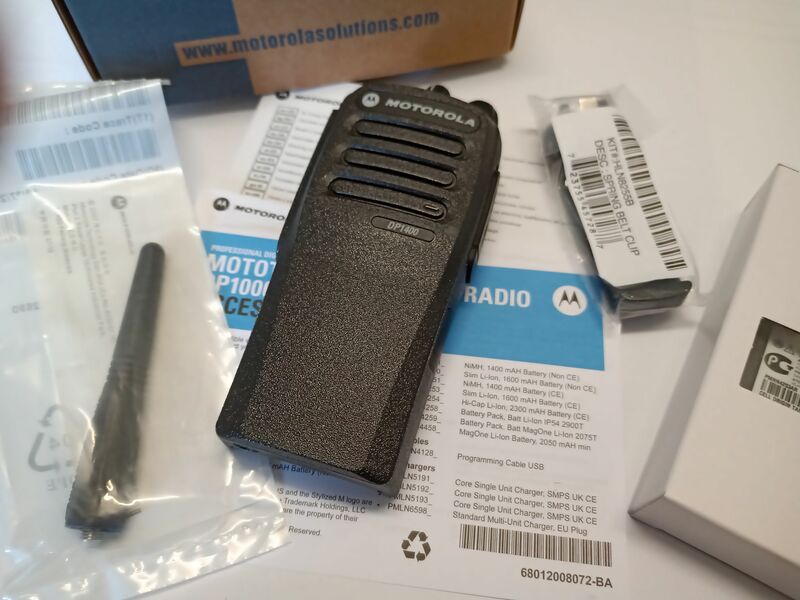 Should the radios not be required for that long, we are more than happy to despatch them a couple of days early to enable the operatives to familiarise themselves with the Motorola radio equipment. 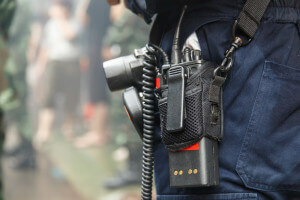 What range do two way radios cover? Due to varying factors this difficult to answer accurately without conducting a site visit. First of all, in an urban environment the surrounding buildings and infrastructure can reduce overall coverage. We would recommend UHF radios for this location because the signal is better suited to penetrate buildings. Consequently, in the country side since there is probably minimal buildings and infrastructure so we would likely recommend VHF which can cover up to 10km line-of-sight. Do we collect or do you deliver the Motorola radios? The choice is entirely yours. We are based in Leek, Staffordshire and are operational 52 weeks of the year. Should this not be viable we use a very reliable courier and can offer next day timed deliveries of before 09.00, 10.00 or 12.00am at a small premium to suit your needs. 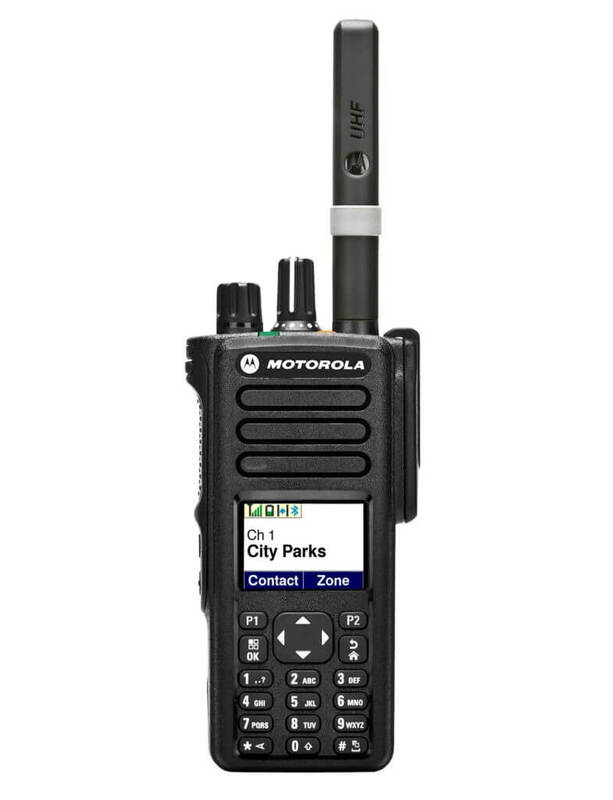 We have over 40 years’ experience within the business radio industry and operate a fleet of Motorola Radios. We offer both UHF and VHF professional 16 channel, high-powered Motorola radios that are available to hire for as long as you need them. If you are looking for Two-Way Radio Sales, we can advise you on the best system for your needs. Whether it be from an entry level radio to a top of the range high tier model, analogue or digital, we will be able to guide you through the options available to you and offer a recommendation based on your needs, budget and requirements. High-powered business radios (over 0.5 watts) require an Ofcom licence which we can organise for as part of the sale. Unlike other business radio dealers, we don’t just include the programming as part of the service, we also provide engraving of your new radios at no extra charge. We have over 40 years experience providing two way radio sales, hire and repair services. 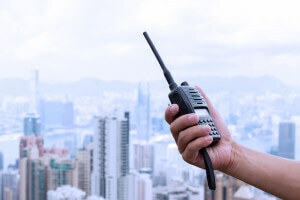 Our two way radio specialists ensure you get the optimum coverage. 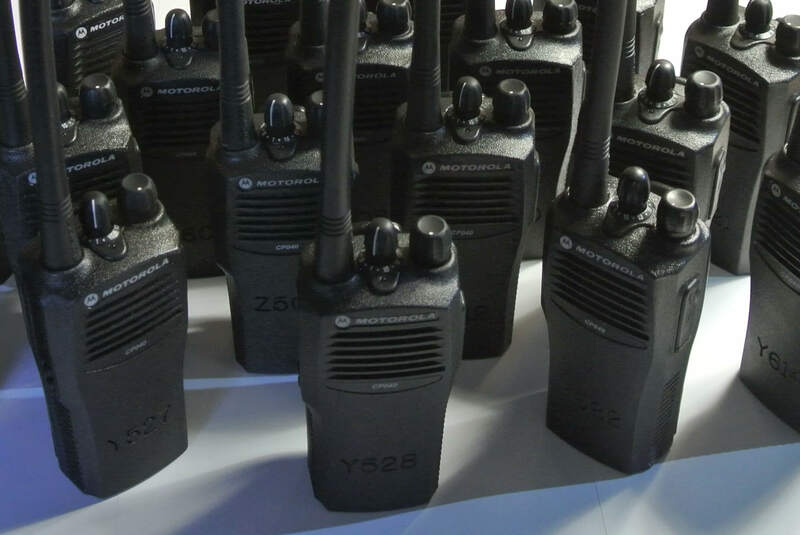 Our Motorola Two Way Radios / Walkie Talkies are high quality and frequently serviced. Would you like to speak to one of our two way radio advisers over the phone? Just enter your details and we’ll be in touch shortly. For Businesses: Do you have questions about how Comsco can help your company? Send us an email and we’ll get in touch shortly, or phone 01538 388 550 between 09:00 and 17:00 Monday to Friday — we would be delighted to speak.